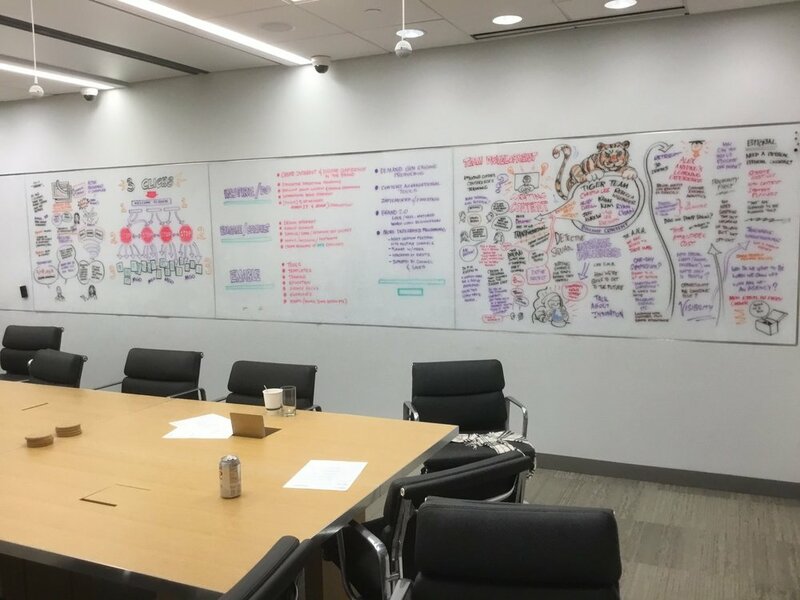 Scribing takes various forms, depending on the needs of the client, which can be anything from simply recording the main points of a meeting to synthesizing visual iconography on the spot and working with individuals to help them visualize solutions to problems. Scribing or graphic recording takes various forms, depending on the needs of the client, which can be anything from simply recording the main points of a meeting to synthesizing visual iconography on the spot and working with individuals to help them visualize solutions to problems. It requires great focus in busy environments and an excellence of various communications skills, which include listening, editing and of course the ability to think and draw fast. 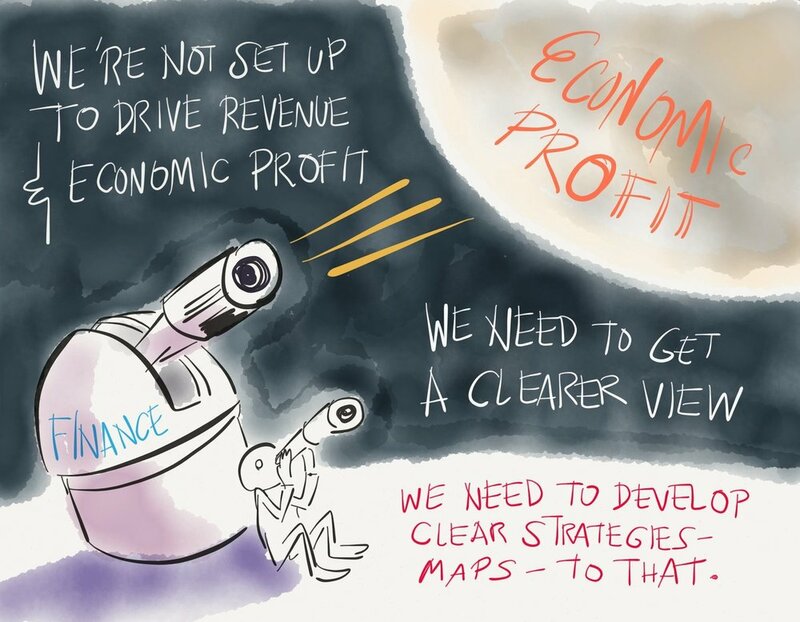 Sometimes, there is also an element of performance if a client desires drawings to take place in real time onstage or during a presentation (known as a livescribe). Methods used range from traditional (pens and flipcharts) to digital (creating art on a tablet and projecting it onscreen simultaneously or uploading to a website). Sometimes there is post-production studio work before delivery of final outputs, depending on the complexity of the imagery produced. I have collaborated with many clients over the years, including EY, KPMG, HPE, IBM, Coca-Cola, WOBI, General Electric and many pharmaceutical companies, ad agencies, design bureaus and event management organizations. 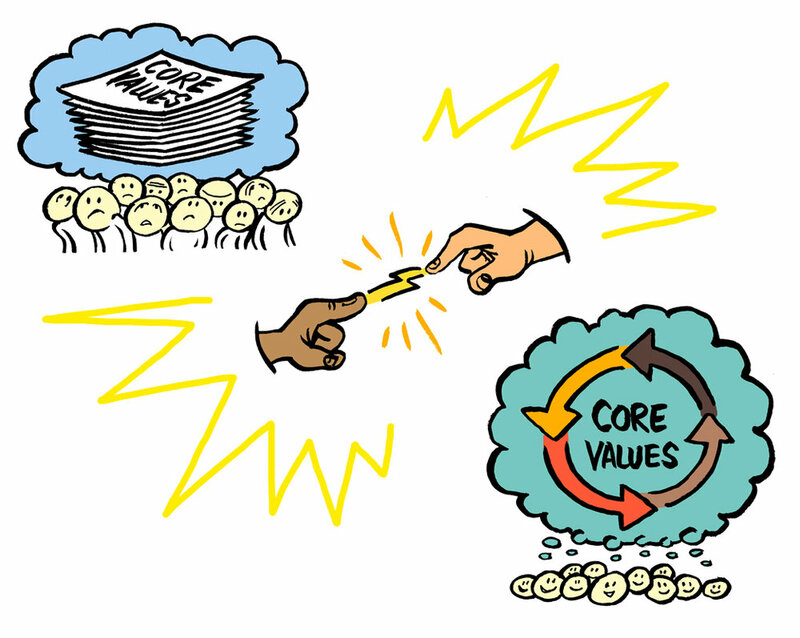 Here's a link to a downloadable PDF portfolio with more examples of my visual facilitation work. The following is a short portfolio showing some of my more recent work for various clients. Sensitive information has been removed!